Sunderland are set to step up their bid to sign a new forward – with Holland star Jeremain Lens in their sights. The Black Cats return for pre-season training tomorrow and despite making progress on the transfer front, are unlikely to have any new faces in their squad when they players report back. Advocaat is keen to add to his attacking options and Dynamo Kiev ace Lens is believed to be high on his wanted list. The permanent signing of the Uruguayan, who spent last season on loan at the Stadium of Light, isn’t one to get the fans’ pulses racing. But Sunderland remain patient in their bid to sign more high-profile stars, such as West Ham winger Stewart Downing. Dynamo Kiev striker Lens is a player Advocaat knows well from their spell at PSV Eindhoven together and Sunderland could look to tie up a £8million swoop in the next week. The 27-year-old operates on the left wing or through the middle and is seen as an ideal option for Sunderland. Advocaat and his predecessor Gus Poyet played Connor Wickham in the wide left role last season, and Jermain Defoe also had a stint there. However, neither are comfortable in the role and it’s an area Advocaat is targeting in his summer transfer business. 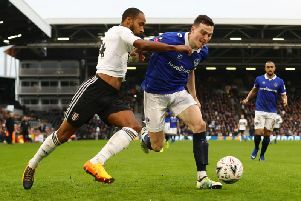 There has been no progress on the bid to sign Downing, but Sunderland need two widemen with doubts over the futures of Ricky Alvarez and Adam Johnson. Lens has appeared 29 times for Holland, scoring eight times and was part of the squad which finished third in last summer’s World Cup. The Black Cats have been linked with a host of Dutchmen this summer due to Advocaat’s influence, including Georginho Wijnaldum, who is now said to be on the verge of a move to Paris St Germain.